Are you ready for our fun things to do in Fiji guide? Head to one of the many beautiful beaches for a day of fun in the sun. Babies will love splashing in the beautiful blue waters, toddlers and small children will have fun building sand castles! Teenagers will love relaxing in the sun. 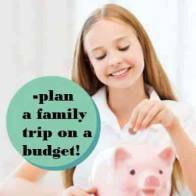 This is one of the best things to do in Fiji with kids and the reason many people visit Fiji! Natadola Beach on Viti Levu (south of Nadi) is one of the most beautiful on the main island. There is horseback riding and vendors selling trinkets here. The best beaches are found on the smaller islands nearby. Don't forget to pack some beach toys, biodegradable sunscreen (so you don't harm the coral) and sunhats. The Salad Bowl Adventure Tour is a great way to introduce your family to the Fijian culture. Your tour will start in Sigatoka with a guided drive through the beautiful countryside. You will enjoy a traditional kava ceremony at a local village followed by a trip across the river on a bamboo raft followed by a short hike to the cave. Kids will love hearing the stories and folklore about the cave including the cannibals. A delicious lunch and traditional dancing back at the village are included. One of the best things to do in Fiji with kids! Go ziplining in the beautiful Fiji rainforest. Children and teenagers will love flying across the 8 zip lines (up to 500 feet long!). 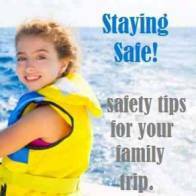 Your Fiji family adventure starts with an instructional safety course with help on using the harness and equipment. Ages five and up! This activity operates out of Pacific Harbor in Fiji. Garden of the Sleeping Giant makes a nice break from the beaches and pools. Head to these beautiful gardens showcasing hundreds of colorful orchids with the kids. Stroll the paths in search of the view of the mountains shaped like a sleeping giant. Stop by the cafe for a refreshing drink after. This Fiji family attraction is located near Nadi. Head to the natural Sabeto Mud Baths for some relaxation with the kids. There are very basic facilities here, but the kids will have a blast covering themselves in the mud and rinsing off. It is great for the skin! Some of the pools are extremely hot so be sure to test the temperatures first. Located near the Garden of the Sleeping Giant near Nadi. 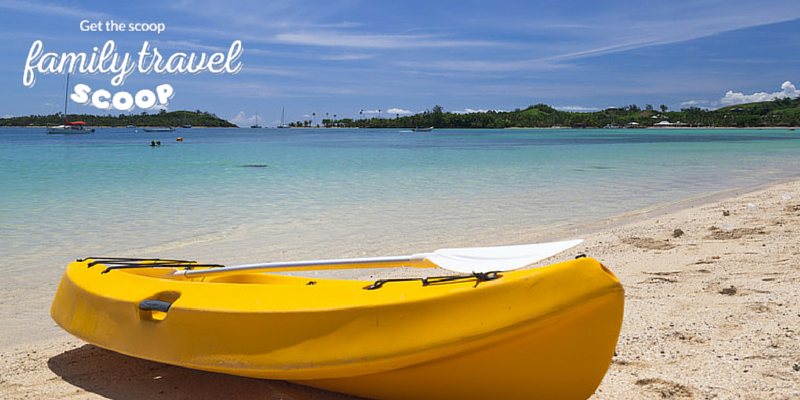 Enjoy the sheer beauty of Fiji on a whitewater rafting tour. You will float down the Navua River through class II-III rapids, see lots of waterfalls and squeeze through passages only 5 feet wide with volcanic walls extending up to 40 meters high. Enjoy the tranquil rainforests of Fiji and watch the herons, parrots and fruit bats along the way. Ages 8 and up. The tour leaves from Pacific Harbour. 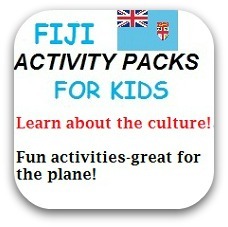 This is a must for active families, one of the est things to do in Fiji! Visit Tavuni Hill Fort for insight into the history of the beautiful Fiji islands. There is a guided tour where you are shown the burial mounds, ceremonials sites and amazing views of the Sigatoka river and nearby villages. Take a day trip to one of the nearby islands with a local tour operator. 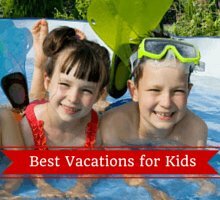 Your family can enjoy beautiful beaches and excellent snorkeling. The kids will love seeing the colorful fish, coral and underwater life! Glass Bottom Boat Rides are great for babies, toddlers and children of all ages. 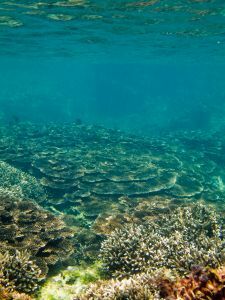 Fiji is home to 300 varieties of coral and many beautiful sea creatures. Great way to see life underwater! One of the best things to do in Fiji with kids! A thrilling visit to Kila World is one of the fun things to do in Fiji with kids and teenagers. Climb, swing and zip through the low and high ropes course. Don't miss the giant swing and leap of faith! There are beautiful rainforest trails and fresh water swims to enjoy. Children must be 1.4 meters (4'7) to participate in the ropes course. Hop aboard the Coral Coast Railway for an adventure with your family. You will meander through the villages and countryside on this old sugar cane locomotive. Stop at a lovely beach and enjoy a BBQ dinner. Bring some pencils, small toys and candy for the children you encounter along the way. Kula Eco Park is an excellent Fiji family attraction for babies, toddlers and children. 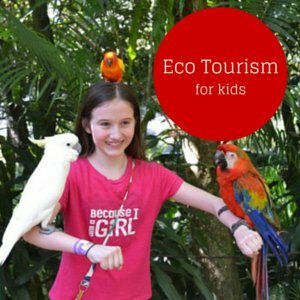 Your kids will love seeing the iguanas, birds, fruit bats, snakes and turtles. This is an interactive park with walk-through enclosures, feeding areas, and your little ones can even hold a snake or iguana. It is located near Sigatoka. The Arts Village is one of the most interesting Fiji family attractions. Here your family can watch the traditional dance, see fire walkers and learn about life in a Fijian village. Check out the local arts & crafts and see coconut tree climbing demonstrations. Enjoy a delicious meal at one of the restaurants. It is located in Pacific Harbour. If your kids love museums, you should go to the Fiji Museum in Viti Levu. The Fiji Museum boasts different artifacts and some of them are more than 3,000 years old! Let your family submerge in Fiji’s long and diverse history. Although admission is not free, the trip to the museum is definitely worth it. Be sure to visit the Fiji Museum on weekdays so it won’t be too crowded. End your last night in Fiji with a lovely dinner cruise. Your kids will surely enjoy the views, the amenities, and most importantly the buffet spread. Once you have tucked your kids in bed, you and your partner can enjoy the rest of night together. Order a glass of champagne or two! Sampling the tasty Fiji food while on your family trip will be one of the highlights. The kids will love the lovo where meats, cassava and sweet potato are cooked in a hole in the ground! 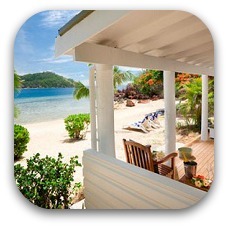 The best Fiji family accommodations! 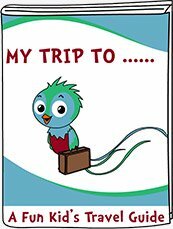 Downloadable children's travel guide. Learn all about Fiji! 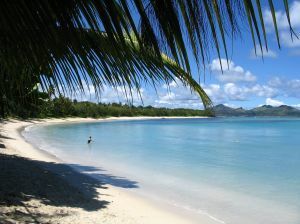 Plan your family holiday in Fiji here! 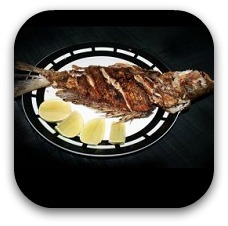 Yummy Fijian food your whole family will enjoy!